1. Which shed is the right one for me? 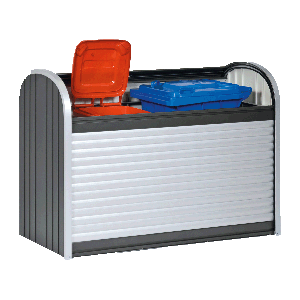 We at Biohort offer sheds made of high-end metal plates. Generally, we are convinced that metal offers various benefits compared to wood. 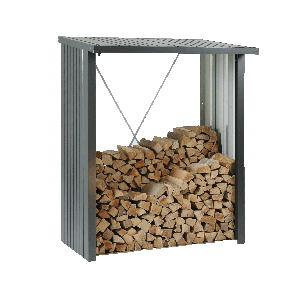 To be able to form an own opinion, you find here the most important differences between wood and metal. The new Biohort product configurator not only eases the way to find a suitable product, but also entertaining. 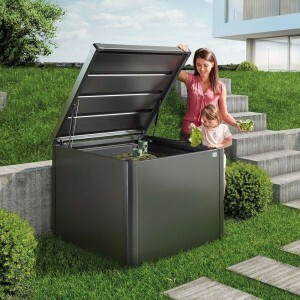 Whether it's a bike garage, tool shed or storage space for the BBQ or lawnmower, the Biohort product configurator visualizes the right product, including useful accessories in 3D. 2. Do I need a building permission? The local building regulations can vary from region to region. Sometimes this also depends on the surface that is built on. In most counties it is sufficient to make a simple building notification. 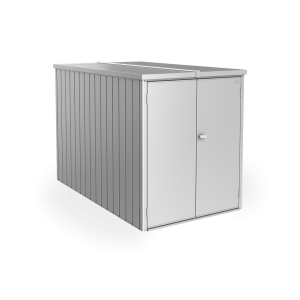 Please inform yourself before purchasing a shed with your local community/municipal authority, if an building approval is necessary. Our standard approval plans can be downloaded on our web site. 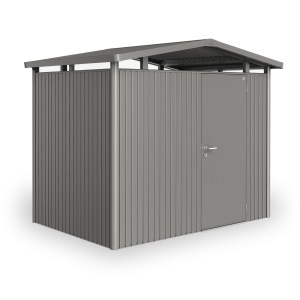 For our design outbuilding CasaNova we provide a building plan with detailed measurements and structural calculations on the basis of EU-wide approved EN norms. You can also find these structural calculations on our web site under “Service” /Downloads. 3. What do I have to consider regarding the foundation? Before you purchase a shed, please think about the suitable foundation as well. Attention! 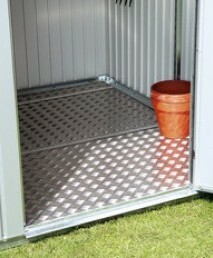 Our sheds can be only set up on an even surface! Only our Biohort ground screw foundation allows to balance slopes of up to 10%. 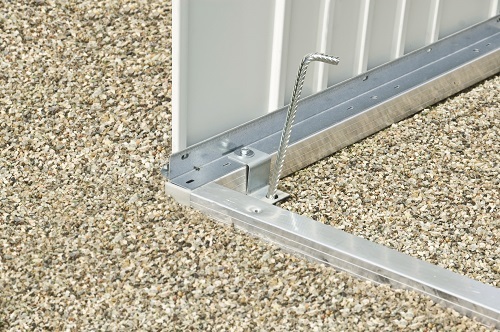 The patented ground screw foundation is ideal to balance slopes and unevennesses of the floor of up to 10%. 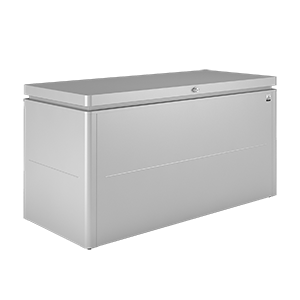 It consists of high-end aluminium planks, the aluminium frame and stable ground screws and can be loaded with up to 200kg per m². You can order this solution directly when ordering. This is the easiest foundation option. 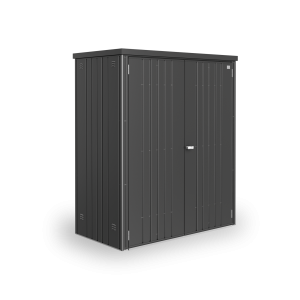 With the aluminium floor frame which we offer as accessory, the shed can be set up easily on gravel and can be secured to the ground with the ground anchors that are included. For this purpose, the turf is removed for about 10 cm. Then you fill the excavation with gravel and make sure the gravel level is even. Foundation slabs (paving or concrete slabs) laid in a bed of gravel are a good and inexpensive solution. For the foundation, the turf is removed for about 10 cm and the excavation is filled up with gravel. Please make sure the gravel level is even. We recommend laying a vapor barrier in the gravel bed. Afterwards you lay the foundation plates, which are available in various colours and surfaces in any DIY store. 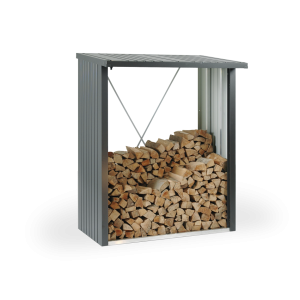 We recommend using the aluminium floor frame with this foundation option. A reinforced concrete plate in a gravel bed is a qualitative high-end foundation option. The soil is scooped frost-free, the the excavated soil is filled up and compacted. As a next step, a 3-5 cm thick levelling ground with gravel is made and the vapour barrier is laid in the levelling ground. Then the concrete foundation is erected with 1-2 layers of steel mesh. 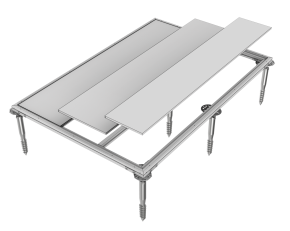 The aluminium floor frame allows for the erection of a point foundation - even on uneven and resilient ground. The point foundation has to be established on the given place with at least 30x30 cm side length - please note our point foundation plans . The earth excavation for the point foundation needs to have sufficient depth. The excavation needs to be filled with gravel and compressed - this level is the basis for the following conrete level. 4. Which accessories do I need? 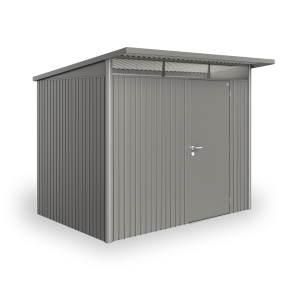 If you have selected your desired shed on our website, click on the “accessories” area. 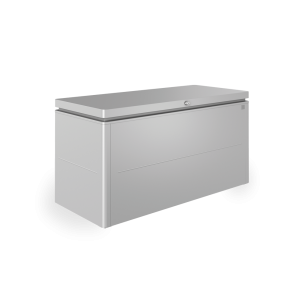 You will automatically see only those accessories which are available for your model. 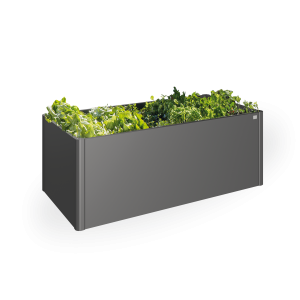 Use our Biohort 3D product configurator! The accessory can be placed in 3D in the desired main article and put into your shopping basket afterwards. This professional foundation option is ideal to balance slopes of up to 10%. Further information can be found on the detailed page about the Biohort ground screw foundation resp. in the previous steps of this manual. 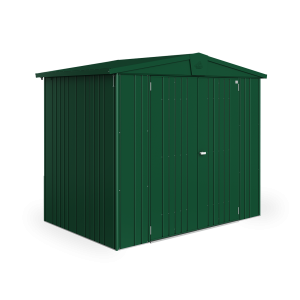 In the Biohort online shop you can find the ground screw foundation on the product page of your desired shed, section “accessories”. 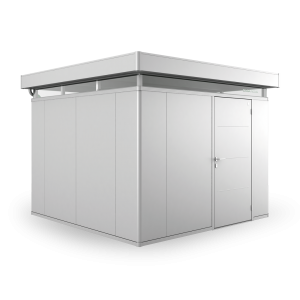 We generally advise to assembly every Biohort shed with floor frame. This provides enough stability and corrects any unevenesses in the foundation. If you want to go without a floor frame, it is very important that you establish a clean and level foundation. Exception! 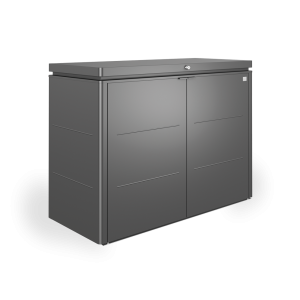 If you have decided for a Biohort ground screw foundation (available as accessory in the Biohort online shop) you don’t need a floor frame and floor panels. 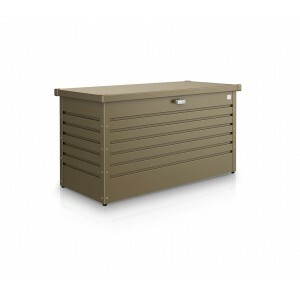 The ground screw foundation is a complete solution which includes frame and floor panels. 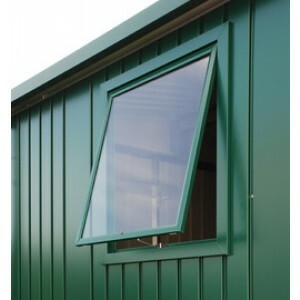 If you do not want to stand directly on the ground inside your shed, we recommend our aluminium floor panels. In order for the aluminium checker plate floor to be optimally laid, you need the aluminium floor frame. Please note: The floor plates need to be relined. This can be done with a filling or with XPS hard foam plates of 2-3 cm thickness (not part of the delivery scope). Attention: The Biohort ground screw foundation already contains floor panels. Accessories for the interior can be supplemented at any time afterwards. To mount shelves, you need a support rail on the left and right side of the shelf. The support rails and selves consist of a set of min. 2 pieces and need to be ordered seperately. Shelves are available in 2 different depths. Hook-set (a combination hook, handle hook and shovel hook and a wall rack for mounting) The hook set is mounted between 2 support rails. 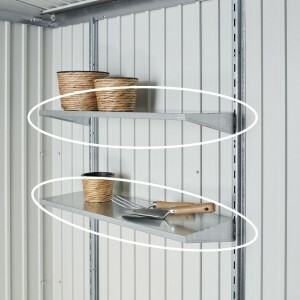 2 shelves, 2 support rails and 4 tool holders are included in the standard delivery scope of very Biohort shed. 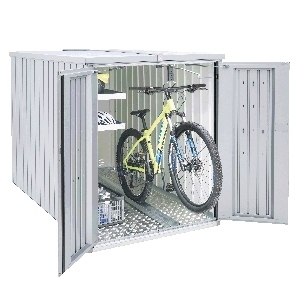 With the right accessories, our shed offer ideal storage room for your bicycles and e-bikes. 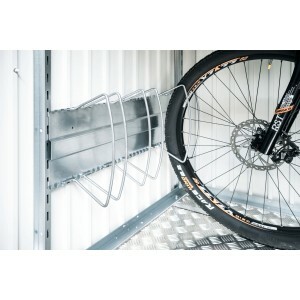 Allows hanging sotrage of bicycles up to a size of 29” on height-adjustable suspension hooks. Clamp brackets fix the bicycle tires of up to 3 bikes per bikeHolder. The bikeholder is mounted between 2 shelf rails. The shelf rails are not part of the delivery scope and need to be ordered as accessories. You need to have electricity in your shed? 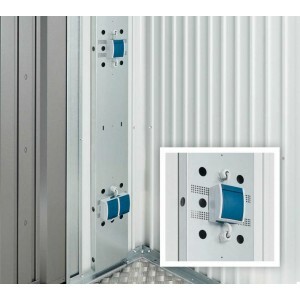 With the electric mounting panel you can discreetly hide cables and easily mount swithches and sockets. Please consider the cable management already when creating the foundation! 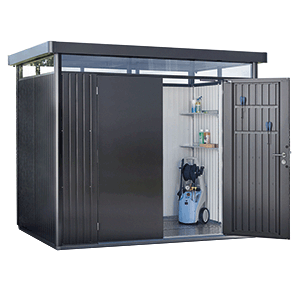 When configurating your shed you can already decide between standard or double-door. 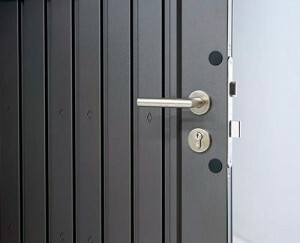 Further, you have the chance to order an additional door as accessory or to change the door stop from right to left. 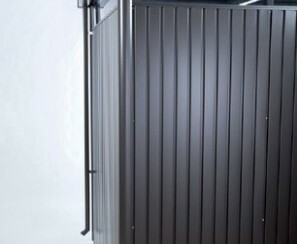 As a standard, the shed Europa is equipped with a double-door. 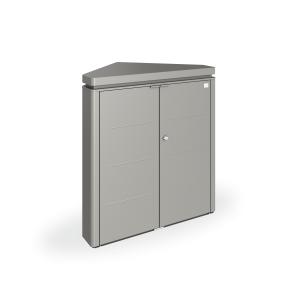 On our wegsite you can order an extra wide door or exchange the standard door for an extra wide door (against payment of an extra charge) in the “accessories” section. As a standard, the gutter is equipped with a connection nozzle for a garden hose. 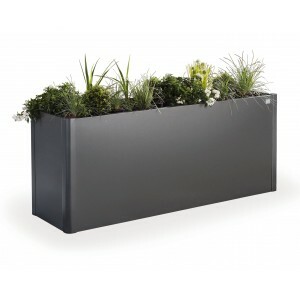 The rain water downpipe set offers an elegant solution to drain the rainwater away from the roof. As a result, flushing of pavement slabs, as well as an above-average water retention in case of rain around the shed can be reduced. A set always consists of 2 rain water downpipe sets and the fixation material. 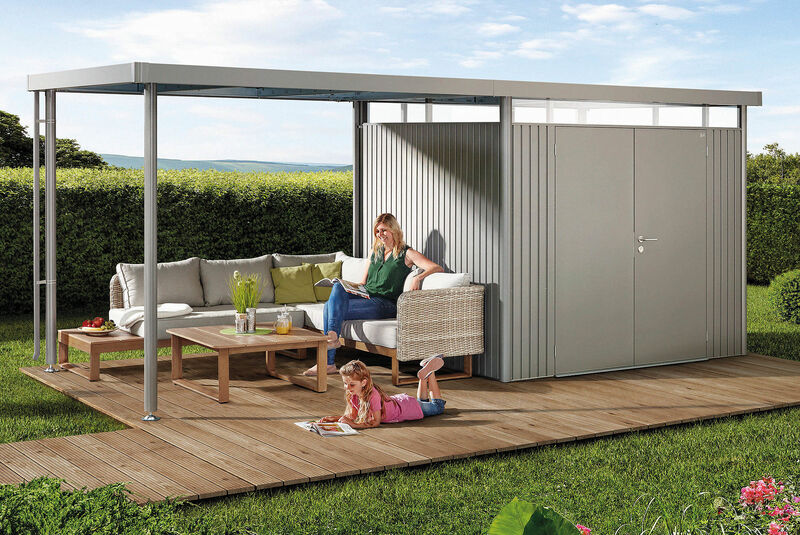 Whether as a shelter for firewood, for mopeds and bicycles or as a roof for a cozy garden lounge - side canopies offer additional storage space and are versatile! 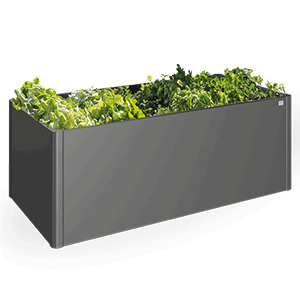 At Biohort, we offer side canopies for our models Europa and HighLine. You can install up to 2 side canopies per shed. Please note! If you want to use the Biohort assembly service, you need to order an additional assembly flat rate. For the fixation points of the roof stayers, only concrete or point foundation resp. Biohort ground screws are suitable. If you opt for Biohort ground screws, you need to order them seperately as accessory via the web shop. 5. Where can I buy my Biohort shed? All Biohort products incl. accessories as well as assembly in Austria and Germany can be ordered via our Online-Shop. Take advantage of a free delivery to your home address. Should you have questions or issues with your order, our customer service s at your service before and after your purchase. We offer a broad dealer network all over Europe. Most of our partners are equipped with show models and are trained to sell Biohort accordingly. Take the opportunity of competent service and discover our Biohort products up close! Especially when choosing the right colour of your Biohort product, a visit on site can be helpful. With the support of our dealer search you can quickly find a suitable dealer in your territory! 6. Who takes care of the assembly? 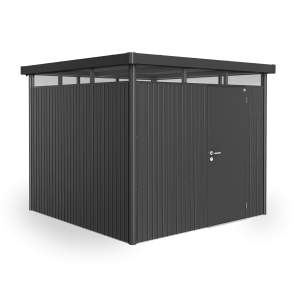 You can either assemble your Biohort shed on your own or use our maintenance service. Thanks to our intuittive assembly manual with images / 3D illustrations, everyone can assemble his shed on his own. We recommend, working in teams of 2 or 3. If you experience difficulties during assembly, our customer service (+43 7282 77 88 - 0) is happy to help during our business hours (on weekdays from Monday - Thursday from 8:00 - 16:00 and fridays from 8:00 - 12:00). You don’t want to assemble your Biohort product on your own? No problem - you can order the assembly directly via the Biohort web shop (only AT/GER). Likewise you can directly get in touch with a Biohort assembly partner who arranges for professional assembly. Our experienced assembly partners are certified by Biohort and assemble according to highest quality criteria and to your complete satisfaction. Everything from a single source – Biohort is your contact for products AND assembly. So you enjoy maximum safety as well as courteous service! 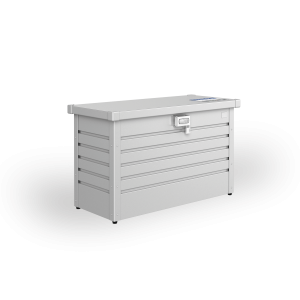 The assembly is offered for a flat rate and includes all purchased accessories (except ground screw foundation and side roofs)! 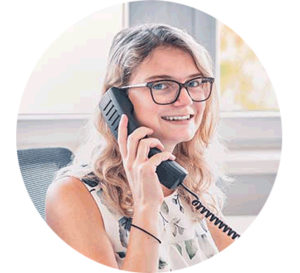 After the assembly has been ordered, the assembly partner responsible for your region contacts you within 3 working days from order clarity, discusses the installation and agrees on an assembly date with you. We arrange for an assembly date within 4 weeks from order clarity! Details to our assembly service can be found here. 7. What do I need to consider regarding maintenance of my Biohort shed? 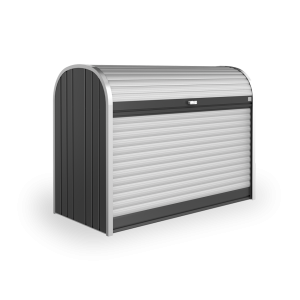 Contrary to wooden sheds, metal offers the advantage of no need to repaint. The cleanining of our Biohort sheds is comparable to cleaning of a car. You can simply clean your shed with a garden hose or with the pressure washer. For perfect maintenance, we recommend using our CleanLine maintenance products (available as accessory). Please do not use scouring agents or other chemical agents and avoid contact with sunblocker! Further, it is important that the roof and the gutters are cleaned regularly resp. on demand. The lock and the hinges shall be lubricated every year. Read our FAQ’s or send us your contact inquiry - we are happy to help you!